A group of American and Chinese researchers published data this week showing that artificial intelligence (AI) is as accurate as physicians in diagnosing common clinical conditions in children. Scientists built an AI model using neural networks to process patient history, physical exam and lab data, clinical symptoms and other information to automatically generate a diagnosis. Using that model to evaluate the records of over 600,000 Chinese pediatric patients, the diagnostic accuracy of the AI-driven model was largely equivalent to that of physicians. Looser privacy standards in China make it easier to aggregate the data for AI-driven diagnosis, presenting a potential roadblock for replicating the results in the US. 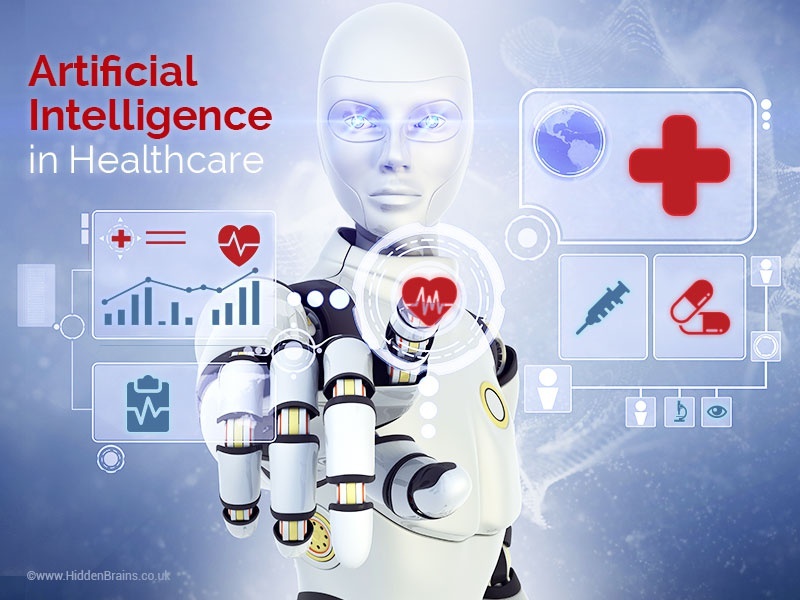 However, researchers cite the potential for AI to complement physician diagnosis, as algorithms recognize patterns that are often missed by doctors. The scale of this study is impressive, but it’s hardly the first to illustrate the promise of AI in improving diagnosis and even substituting for high-cost clinical labor. However, few AI technologies have been able to make the leap from promising algorithm to real clinical application. Writing in Nature Medicine, digital-medicine guru Dr. Eric Topol recently reviewed the science and application of AI across clinical care, and found that while he “couldn’t find one discipline in medicine that doesn’t have significant AI potential impact”, there is an “AI chasm” between the developing science and real clinical impact. Most AI research is retrospective, and Topol identifies the need for true gold-standard, prospective studies. But he says that real impact, likely in visual diagnosis, could be imminent, with studies demonstrating AI analysis of radiographic images, retinal scans and skin lesions that is equal to or better than a doctor’s read. Topol doesn’t cite one key barrier of AI implementation: professional guilds, who have vested interest in keeping the diagnostic business in the hands of their members. Regardless, AI represents a promising path to reducing reliance on expensive human labor, one that is sure to be adopted as cost pressures mount. While we’d predict the first impact will come from automating “back-office” functions, doctors who resist AI are fighting a losing battle. Successful physicians will ascertain how to use AI to augment their practice—and the ones who blindly resist its use may be most in danger of being rendered obsolete. Microsoft announced its new service to help healthcare companies store patient data in the cloud and a Healthcare Bot service that will be integrated with Electronic Health Records. The tool will be based on Microsoft’s Azure cloud platform, which it describes as a secure end-to-end platform that organizations can use to store and analyze sensitive data. “Healthcare leaders are thinking about how they bring their data into the cloud while increasing opportunities to use and learn from that data,” Microsoft wrote in a blog. With its new healthcare push, Microsoft aims to create a system that makes health records more easily accessible and sharable between clinicians, researchers, and patients, Bloomberg reports.The corporation also sees its integrated healthcare storage as a way to attract companies to Microsoft, over its competitor Amazon Web Services. Both Microsoft and Amazon faced backlash over contracts with Immigration and Customs Enforcement, to provide the agency with cloud storage for biometric information. Microsoft will not only provide healthcare organizations with an accessible storage and information sharing platform, but the company is also making its healthcare bots available to more healthcare organizations. The Microsoft Healthcare Bot service will include chatbots, and features like medical content and terminology and a built-in symptom tracker, the company announced Thursday. The bots will also help patients find clinical trials for new drugs and therapies, or answer questions about their prescriptions, according to Bloomberg. Given that hospitals and health systems are the largest employers in their community, they are already set up to become a hub. In the past, they leveraged that position to simply care for the sick. Increasingly in the future, these organizations will be health and healthcare hubs for innovation and building new companies, for bringing the community together to tackle issues like hunger and homelessness, for education and training, for research and development partnerships, for coordinated, compassionate and longitudinal care delivery for treatment, for support groups for specific chronic conditions, for digital and virtual care, and for thoughtful and effective support for mental and behavioral health. Changes in the care delivery market over the last 10 years have put the right building blocks in place to make this happen. 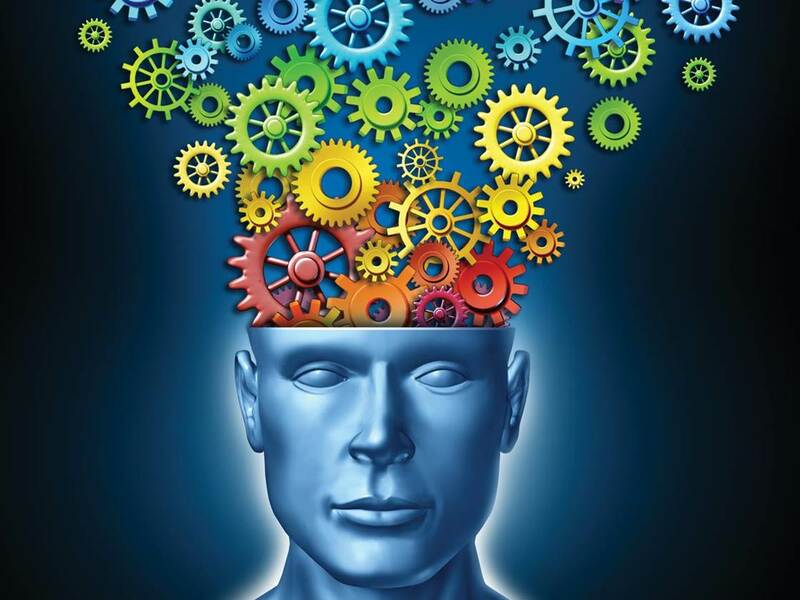 Taking advantage of becoming a hub and leveraging the strategic concept of being a platform requires new thinking, new structures and new skill sets. The great news for healthcare providers is they have already made the toughest move of all in order to set this in motion. Over the last decade, there has been a massive level of consolidation with hundreds of hospitals and thousands of physician practices being acquired every year. While more mergers and acquisitions will still happen, this stunning and fundamental restructuring of healthcare delivery has taken place and there is no turning back. This is likely the single biggest shift relative to how healthcare is structured in this country that will take place during our lifetime, and it barely gets mentioned. The strategy many were chasing was primarily being driven by a “heads in beds” pay-off that was both based on offense (“an easier way to grow”) and defense (“we better buy them before someone else does”). 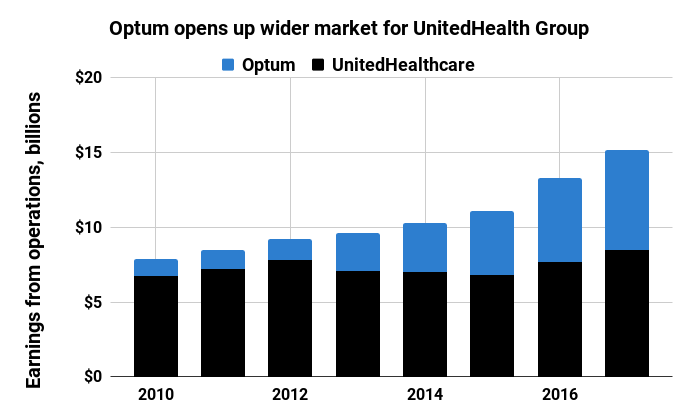 That said, as this consolidation happened most healthcare delivery systems were really just an amalgamation of stand-alone hospitals set up as a holding company that provided no real leverage other than more top-line revenue. 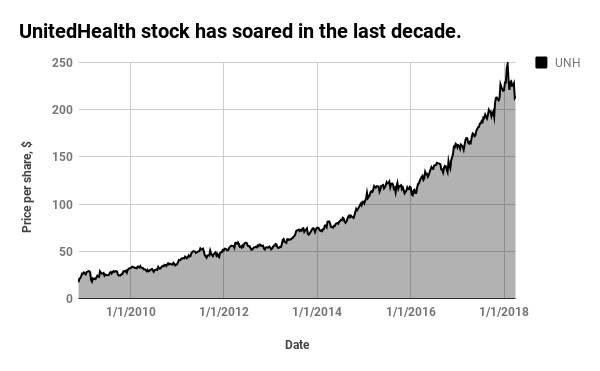 During the JP Morgan Healthcare Conference, it was clear that most have made the shift from a holding company into a single operating entity. Chicago-based Northwestern Medicine shared a very refined playbook for quickly bringing acquisitions onto their “platform,” and the results are pretty stunning as they have transformed from a $1 billion academic medical center into a $5 billion regional healthcare hub in a handful of years. And over the last few years, these organizations have gotten super serious about making the toughest decisions right away. The mega-merger of Advocate Health and Aurora Health, the largest healthcare delivery systems in Illinois and Wisconsin respectively, was accompanied by a gutsy decision to fast-track the implementation of Epic at Advocate to get the leverage of a single EHR platform across the system. While many focus on the cost of the transition and the shortcomings of some of the applications, what gets missed is the enormous long-term leverage this provides regarding communication, integration, continuity of care and, of course, access to data and the potential to improve clinical and financial performance. This creates a “platform-like” experience for both employees and customers. So, the twist in the story is that the pay-off for consolidation will likely be very different and perhaps much better than many had originally intended. They have the building blocks in place to be a health and healthcare platform for their community. But now they need to figure out how to truly take advantage of it. During their presentations the 25 non-profit provider organizations opened up their playbooks on how others can leverage their platforms and the idea of becoming the hub for health and healthcare in their respective communities. Here is what they shared. Many provider organizations are moving aggressively to create digital front doors. Kaiser Permanente delivered 77 million virtual visits last year. Intermountain introduced a virtual hospital that provides over 40 services and has delivered over 500,000 interactions. Nearly every health system leverages MyChart or a similar personal health record platform. There is an enormous amount of risk for hospitals and health systems that don’t take action here, as traditional healthcare providers will be competing with more mainstream and polished consumer brands for the relationships and trust of the folks in their community. As the team from Spectrum Health shared, “87 percent of Americans measure all brands against a select few — think Amazon, Netflix and Starbucks.” Google, Apple and Facebook as well as Walgreens or CVS are all going after this “digital handshake,” and are big threats to healthcare providers. There is no question that some of these organizations will be “frenemies,” where they are both competing and collaborating. 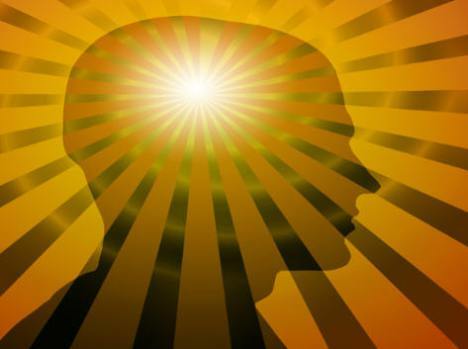 Healthcare organizations will need to approach any partnerships mindful of that risk. As the burden of the cost of care increasingly shifts to the patient’s wallet, healthcare providers will need to play in driving affordability. Coupled with the recent federal requirement to post prices online, there is a great deal of visibility around the price of care, even if the numbers are way off the mark. Understanding and reducing the total cost of care is now viewed as a requirement. As legacy cost accounting applications relied on charges as a proxy for cost and were limited to the acute care setting, most provider organizations have or are now in the process of deploying advanced cost accounting applications with time-driven and activity-based costing capabilities including a number that presented during the conference, such as Advocate Aurora Health, Bon Secours Mercy, Boston Children’s Hospital, Hospital for Special Surgery, Intermountain Healthcare, Northwestern Medicine, Novant Health, Spectrum Health and Wellforce. This was one of the hottest topics during the conference, and there was significant buzz regarding having a single source of truth for the cost of care across the continuum. Vinny Tammaro, CFO of Yale New Haven Health, commented, “We need to align with the evolution of consumerism and help drive affordability in healthcare. How we leverage data is mission critical to making this concept a reality. Bringing clinical and financial data together provides us with a source of truth to help both reduce the cost of care as well as reallocate our finite resources to high impact initiatives in our community.” Organizations like Intermountain Healthcare, which implemented a 2.7 percent price reduction in exchange pricing, are taking the next step in translating cost reduction into lower prices for consumers. 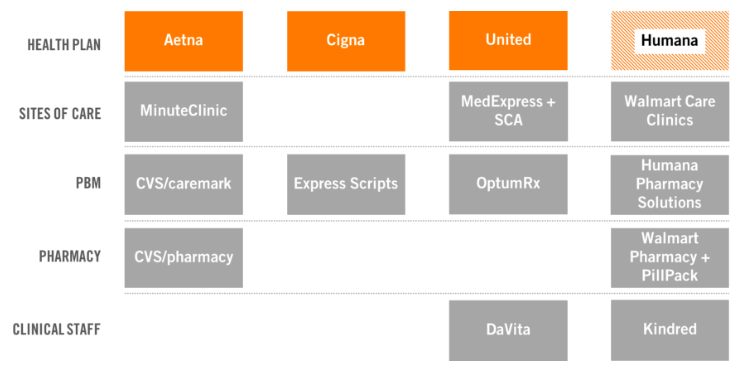 And now healthcare systems are starting to work together to create additional leverage via Civica Rx, which now includes 750 hospitals joining forces to help lower the cost of generic drugs. It is always less expensive to prevent a problem than it is to fix it. The good news is that the economic incentives for hospitals and healthcare delivery systems to both think and act that way are beginning to line up. They are certainly there already for providers that are also health plans such Intermountain, Kaiser Permanente, Providence St. Joseph Health, Spectrum Health and UPMC. They are also in place for providers that have aggressively taken on population-based risk contracts such as Advocate Aurora Health. With that said, it feels like every health system is starting to lean in here — and they should. Being the central community hub for these issues makes a ton of sense. The way that Kaiser framed it is that while they have 12 million members, there are 68 million people in the communities they serve. Taking that broader lens both allows them to make a bigger impact but also broaden their market. Many organizations, such as Henry Ford Health System, are taking on hunger via fresh food pharmacies. Geisinger shared how a 2.0 reduction in Hemoglobin A1c reduction leads to a $24,000 cost reduction per participant in their fresh food “farmacy.” So while hospitals are perfectly positioned, have the resources and know it’s the right thing to do, they are now also beginning to understand the business model tied to targeting the social determinants of health. There is also strong strategic rationale associated with taking on a broader role of driving health versus only providing healthcare. Perhaps the best example here is the work of Hospital for Special Surgery, the largest orthopedics shop in the world. It is has become a destination for good reason — fewer complications, fewer infections, a higher discharge rate to home and fewer readmissions. The most compelling data point is that when patients come to HSS for a second opinion, one-third of the time they receive a non-surgical recommendation. The same type of shopping is increasingly going to happen for chronic conditions. Healthcare delivery systems that take a more holistic yet targeted approach have significant potential. They will need to think more deeply about the end-to-end experience and become immersed within the community outside of the four walls of the hospital. 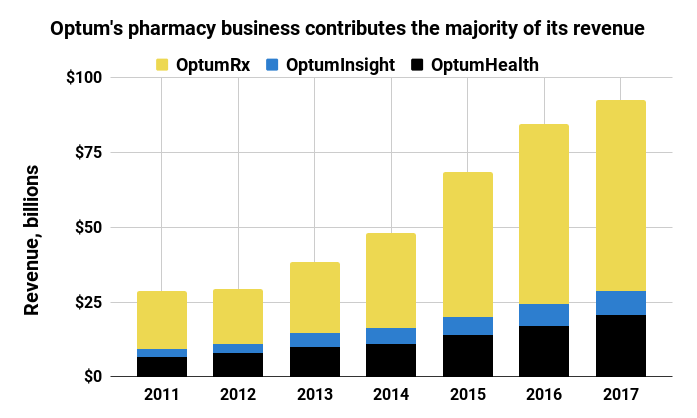 Other players in the community, such as CVS Health and Walgreens, would say they have a platform — and they would be right. The platform that healthcare providers have built and are building will absolutely be competing against other care delivery platforms. In order to enable everything listed above, the lifeline for every health and healthcare hub will be actionable data. Applied analytics is a boring term that is actually gaining traction and starting to dislodge buzzwords like big data, machine learning and artificial intelligence relative to its importance to healthcare providers. Similar to how analytics are being used in a practical way in baseball to determine where to throw a pitch to a batter or position players in the field, healthcare providers are pushing for practical data sets presented in a simple, actionable framework. That may seem obvious, but it is simply not present in many healthcare organizations that have been focused on building data warehouse empires without doors to let anyone in. Many organizations, such as Advocate Aurora Health, Bon Secours Mercy and Spectrum Health, have deployed more dynamic business decision support solutions to access better insight into performance and care variation. This allows them to assess opportunities to reallocate resources to invest in more productive ways to leverage their platform. While leveraging a platform as a business strategy is new to healthcare providers, the good news is that building blocks are already in place. It’s time to leverage that platform to drive better outcomes and more affordable care in the community. And now is the time to get started.